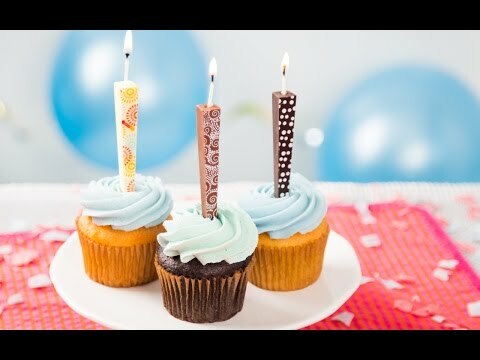 Make a wish, blow out, and then eat these edible candles as an added birthday treat. Made from yummy chocolate, there’s no need to toss these candles. The unique tapered shape easily tops off festive cakes and cupcakes with a colorful, fun design on the front. Once lit, the wick lasts about as long as two rounds of Happy Birthday—but don’t forget to remove it before indulging. My granddaughter loved these, as well as the adults! No one could believe that these lit candles could be eaten! They had great flavor as well!!! Very happy with my order & the Grommet site! I have ordered over 7 different items from this site & have been very happy with every product!!! Sent this to a friend - she was pretty happy with them! Candles that Are Meant to Be Eaten - How Fun! I always look for different candles for birthdays. These were a hit. What’s better than birthday cake? One topped with edible candles made from chocolate. Let Them Eat Candles makes beautiful chocolate candles topped with a traditional wick. 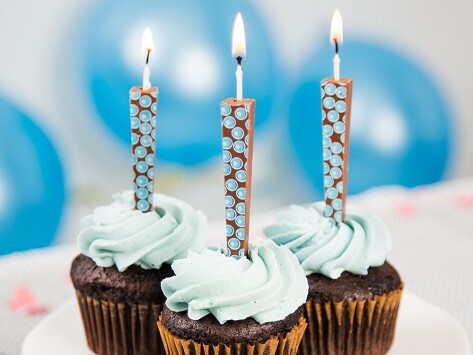 Sing a round or two of Happy Birthday—that’s about as long as the lit wick will last—and once it’s blown out, toss the wick and enjoy your chocolate with a bit of frosting on it. Founder Loree Sandler thought typical birthday candles weren’t festive (or tasty) enough. Plus, as soon as the song is sung, they get thrown out. Loree drew on her architecture background to create hundreds of prototypes. The winner is a gently tapered shape, with a narrow base that punctures cakes and cupcakes easily. Plus, it provides a generous background for the edible transfer designs on the front. The wider top also gives the wick more room, which is important because chocolate melts much faster than a wax candle. That’s why these edible little candles come in packs of three—light them, blow them out, and enjoy.